These oughta make you more con-tent with the great outdoors. 1. A comfy inflatable sleeping pad to keep you off that cold, hard, and unforgiving ground. Get it on Amazon for $55 (available in five colors). 2. This ultra-portable gadget for sending texts to your partner and keeping tabs on your location when you get lost. Get a pair from Amazon for $150 (available in two colors). 3. A super-effective hand warmer capable of running as long as 12 hours on one filling. Get it from Amazon for $12 (available in four colors). 4. 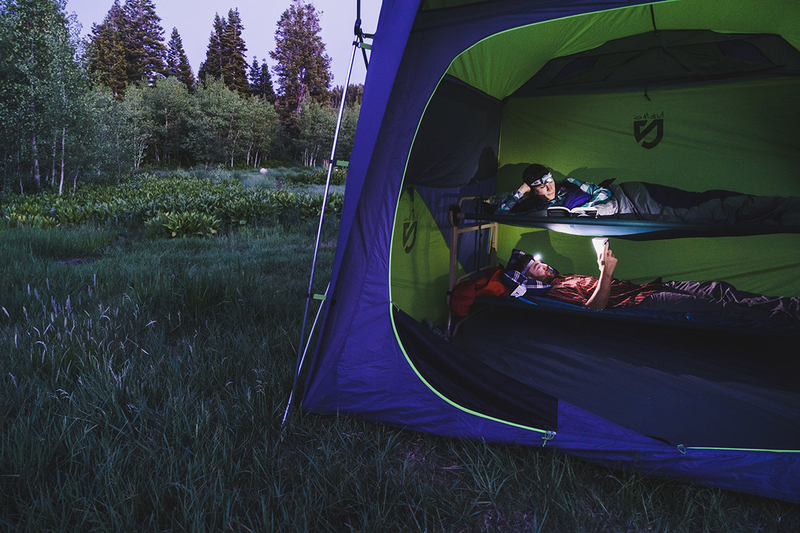 These magnetic rope lights to keep your campsite bright and stop you from stumbling all over the place. Get it from Amazon for $12 (available in 5-foot and 10-foot lengths). 5. A pair of waterproof socks that'll prevent the nightmare that is wet-sock syndrome. Get a pair from Amazon for $46 (available in sizes S–XL). 6. This wearable sleeping bag to prevent you from ever uttering the phrase "I'm cold." 7. A bunk bed that converts into a couch so you can look down on all the heathens who sleep on the ground. Get it from Amazon for $299 (available in black and green). 8. 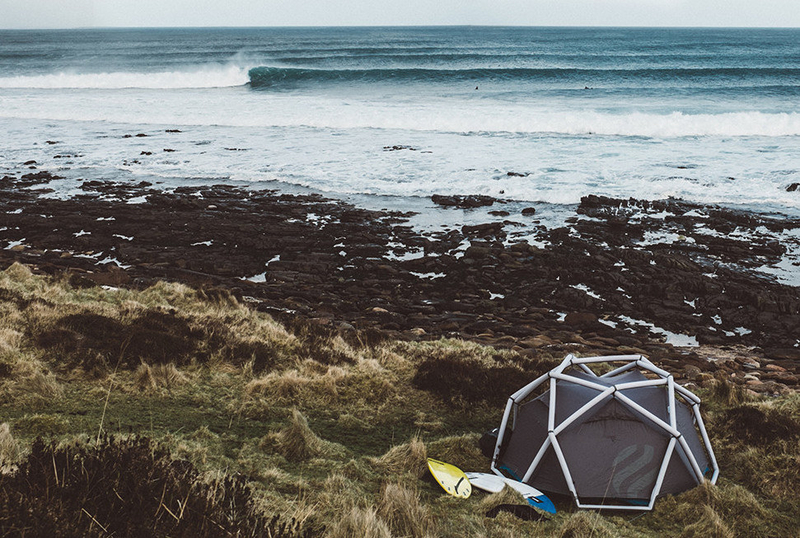 This geodesic tent that inflates, making pitching a tent in any location, a snap. Get it from Heimplanet for $700. 9. A portable toilet for when nature calls (for a better solution than digging a hole in the ground). Get it from Amazon for $67. 10. This solar panel that can fit on a pack and keep your phone from dying in even the most remote locations. 11. A sand-free mat to keep sand out of your tent on those more beachy camp sites. Get it from Amazon for $55 (available in three colors). 12. This coffeemaker that runs off propane and makes having your much-needed early morning coffee a cinch. 13. A mosquito-repelling camping lantern sure to become your best friend. 14. This inflatable bubble tent that lets you see the stars... along with any encroaching bears. Get it from Amazon for $900. 15. 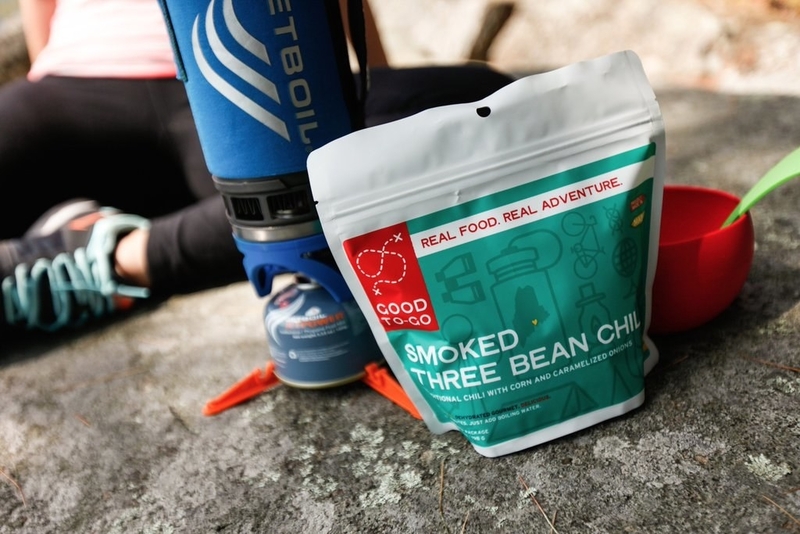 These camping meals — they actually taste like restaurant-quality food. Get a pack from Amazon for $7 (available in 10 flavors). 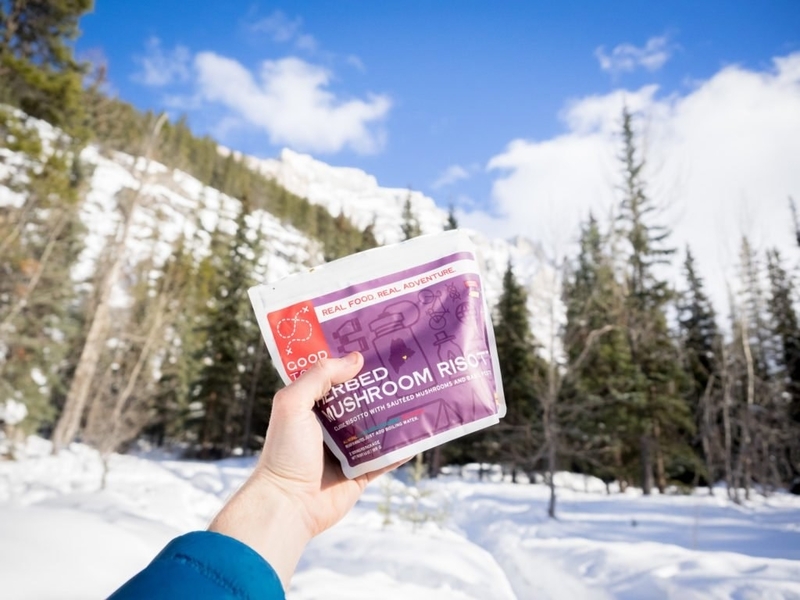 Find it at REI if they are sold out. 16. This flashlight that contains a little bit of everything you need to handle most camping situations. 17. And this camping stove (it also acts as a generator for charging your devices).